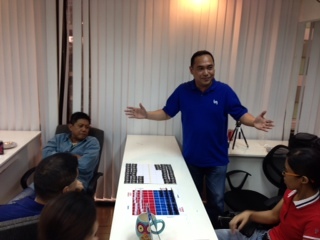 Last Saturday, Juan Great Leap and Hybridigm held Dare To Pitch at the STORM headquarters in Ortigas Center. 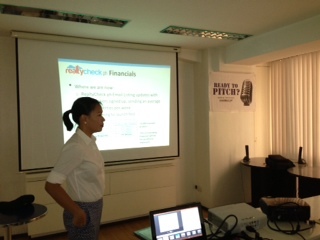 It was a pitching forum where we invited startups to pitch to VC’s. We just wanted deserving entrepreneurs to have a venue where they could pitch to institutional investors. At best, they could get funded, at worst, they WILL get valuable experience, feedback, and contacts. The event was actually a non-public post-event, where ready attendees of the pitching seminar Pitchcraft could volunteer to do an ACTUAL pitch. There were a few audience slots which we opened up to the JGL subscriber base (there are benefits of becoming a subscriber! ), which were gobbled up quickly. We then invited veteran VC’s Dan Pagulayan, Managing Director of Angeon Advisors, and Nix Nolledo, renowned local tech investor, to hear the pitches and give feedback. Strict 5 minutes per pitch. Pitching startups include: NDFY, Doxcheck, Geek Speak, Rumarocket, Realty Check, Wegen, Matchdrobe, Hack Blitz, Gerry Cruz of Angage, and entrepreneur Alex Calero. 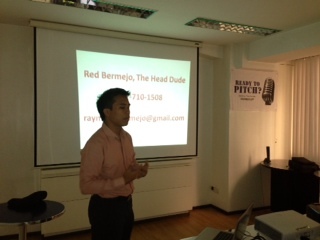 I thought there were generally awesome ideas behind each pitch – most pitches endeavored to solve real problems. VC Dan Pagulayan told me he’d want to further talk to 8 out of the 10 pitches presented, and that he’s really excited with the number of quality pitches presented. As a very opinionated person, it was tough for me to JUST listen to the proceedings, but I gotta say, I learned a whole lot. Each pitch was basically an attempt to solve a specific problem in a specific area in our world: from OPM, recruitment, turbine engines, to geek couture, it was a thrill for me not only to learn about these different pockets from the pitchers, but also listening in on what the VC panel had to say. Horizon-stretching. Only a couple of pitches actually explained EXACTLY how the money they were trying to raise would be used in penetrating the market. I’ve seen this in particular with very technical founders who dive into the product, and sometimes miss pointing out how the startup would begin making money, and it intends to scale. For any investor, this is probably THE most crucial part – how exactly is this person going to make my money back? I’ve seen this trend in our JGL open coffee sessions (do sign up now! 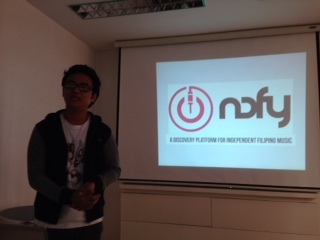 ), where more and more students pitch and participate. 3 of the 10 pitches were given by current students. I think this is an awesome, awesome development, and I hope it continues to trend up.